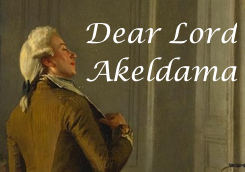 Lord Akeldama has whisked by the blog and hijacked my posts. But sometimes, Gentle Reader, we must just let the Good Vampire have his way with us, mustn’t we? Well, my dearest petal, I must say that I still cherish a fondness for Georgian times. Such decadence, such sumptuous decorations, such gilt, such embellishment, such tight satin trousers. There are some who call it gaudy, but I have ever been one for enthusiastic endeavors and the Rococo era was nothing if not enthusiastic. As someone striving mightily to overcome the inherent disadvantages of being born and raised outside of London (in the former colonies, alas) I have been trying to gain a proper understanding and appreciation of tea. I have had difficulty obtaining a mentor in this endeavor, as where I live tea is most woefully sugared and then poured over copious amounts of ice. Or there is bubble tea, which I think is likely an insult to both bubbles and tea. I would much appreciate your inestimable advice in this matter, especially as I am not in position to relocate to a more hospitable climate. My dearest sweety bubbles, what a question. I am quite ashamed to admit it but I too am not one for much in the way of tea. I was a vampire before it crested in popularity, and as a result I have never acquired a taste for the stuff. So I must turn you over to my most bothersome patroness, Miss Gail. Tea is a serious business. My preferred tea, and the one I always suggest you start with is Twinings English Breakfast Gold Label. It is available for import but is not inexpensive. If you wish a lower barrier to entry many larger supermarkets carry PG Tips. 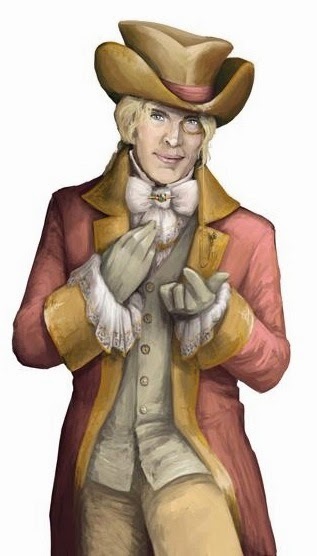 (After you have entered into the madness you may wish to try Twinings 1706 Strong Breakfast, or Assam Strong & Mighty, or Taylors of Harrogate, Yorkshire Gold Tea). Once you have acquired the RIGHT tea bring filtered water to a rolling boil. Pour over the bag. Allow bag to steep, stirring softly, until the color is a rich dark, reddish chocolate. Remove the bag and add a generous dollop of whole milk, about 1/4 of a cup. Enjoy. This will yield up a rich, mellow, malty tea with no bitterness to it, and no herbal overtones. It is the best entry level tea. Once you have found your taste for that, you can move on to experiment with different blends, or just stick with this. If you would then like to graduate to tea for company, here is a blog post all about how to make a proper pot with loose leaf. What a very thoughtful questions my little orchid blossom. I should like to see the New World, the jungle, and the coastal ruins of those various trixy empires, fascinating stuff. And they, like me, were awfully fond of sparkles. Can you tell us something about your life and/or family, from when you were still, hum, ‘alive’? Oh my little cherub, I’ve forgotten most of it and the rest simply isn’t worth mentioning. Everyone’s got it wrong and it’s exhausting trying to correct the history books, don’t you find? Do you use any products on your hair or is it just naturally gorgeous? Oh dahling, I’m a believer in product. There’s this pomade I find on Bond Street augmented with a hint of bergamot that I simply adore. Moderation, of course, everything in moderation, but my hair does need a little texture to fall correctly. Dear Lord Akeldama: Prof. Lyall mention at the beginning of the “Heartless” a mysterious notation, making a note in the BUR archives. He describe you as the “Subject V-322-XA”; letter “v” as vampire, some incomprehensible numbers and the letters “XA” (initials of your full name perhaps?) Do you have any idea how we can translate it? My dearest muffin, what on earth makes you think I have insight into the categorization system of a werewolf? Especially that werewolf. He’s into sheep, you do realize? Do you think that you and Biffy might ever reacquaint yourselves romantically now that you're both supernaturals? Prudence came about quite unexpectedly from a werewolf and a preternatural. Don't you think that a werewolf and a vampire could move beyond simple labels (and years of antagonism) to reunite once again? My dear Lord Akeldama, a certain crusty pirate once said the world is still the same size, there's just less in it. Do you feel that modern technology has made the world seem bigger or smaller? I'd dearly like to know, if you'd be so kind to answer, how long have you known Professor Lyall? I understand he's been in the area a good long while. When did you first meet him? Did you ever work together or really interact before he came to you for assistance with the Westminster hive and Alexia? And I just wanted to say your hair is absolutely fabulous.